Make the most of your entertainment area all year round. Our Gold Coast fabric awnings specialists offer all types of fabric awnings – with motorised, crank operated and spring roll up options available in an array of fabric and colour selections. Sometimes a combination of awnings is the best solution. 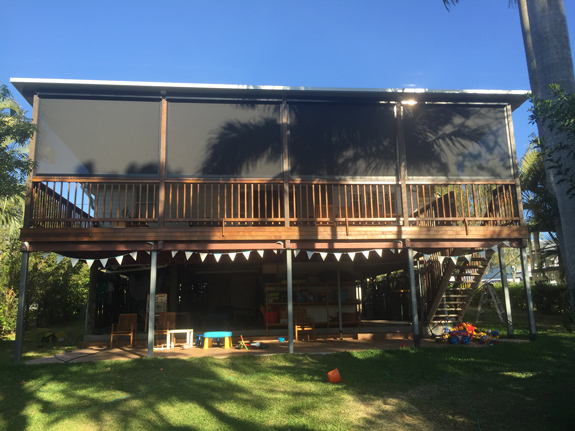 With 20 years’ experience, our Gold Coast fabric awnings experts can help you choose a product – or combination of products – to suit your space and budget. Ideal for easy access windows and openings that receive full sun. 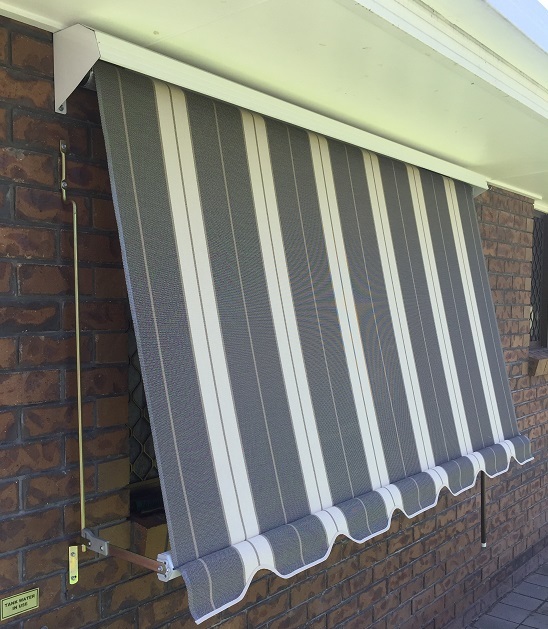 Simple, traditional, automatic fabric awnings come with a spring operated system with guides and locking arms. 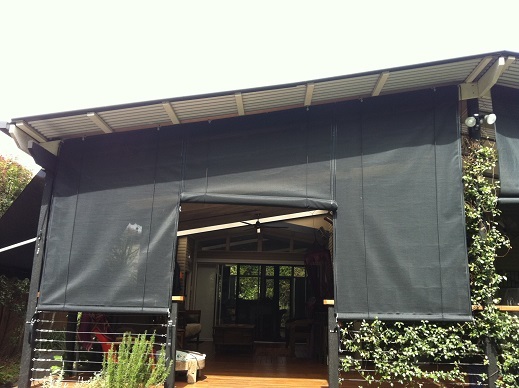 We also offer a complete range of motorised Gold Coast fabric awnings using high quality Somfy automation. Ideal for indoor and outdoor use, these awnings come in a variety of styles, from cord or tape operated to geared or fully motorised. 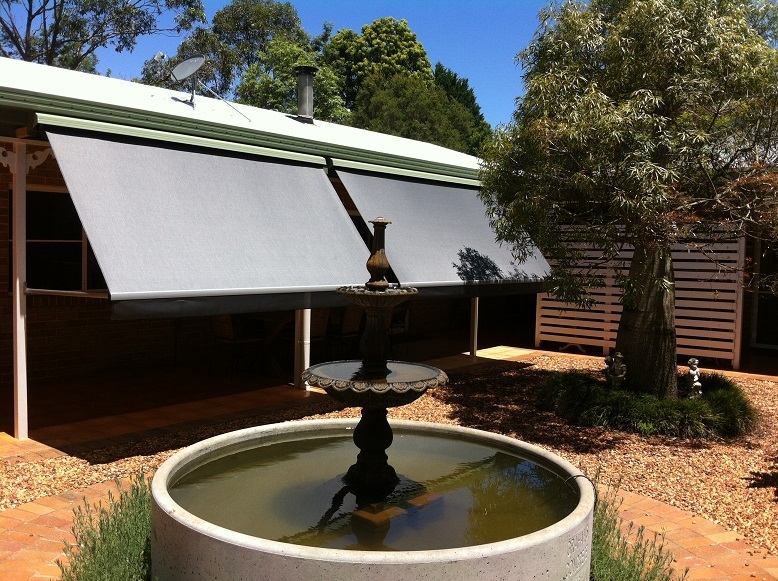 All our Gold Coast fabric awnings are manufactured using weather tested fabrics suitable for our harsh Australian climate. Ask about the double arm, perfect for casement windows. Also known as folding arm awnings, our retractable arm awning range is extremely versatile. The methods of control options allow you to choose from manual to full automation in a range of modern fabrics. Make the most of our beautiful outdoor lifestyle with these contemporary shade solutions. A simple yet effective awning for decks and enclosing patios. Available in light gauge (spring loaded, powder coated channels for support, simply pull down and twist to lock) and heavy duty options (bigger channels, crank or motorised) perfect for those larger spans. An excellent retractable canopy perfect for outdoor areas – patios, shops, kiosks, restaurants and more. 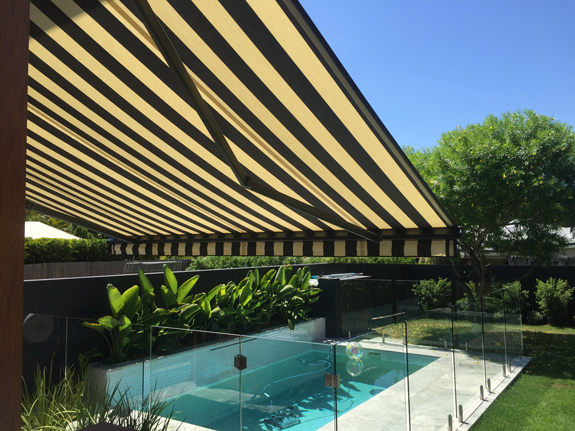 Geared or motorised, these heavy duty Gold Coast fabric awnings feature quality Swedish design and are available with many options including sensors and timers. 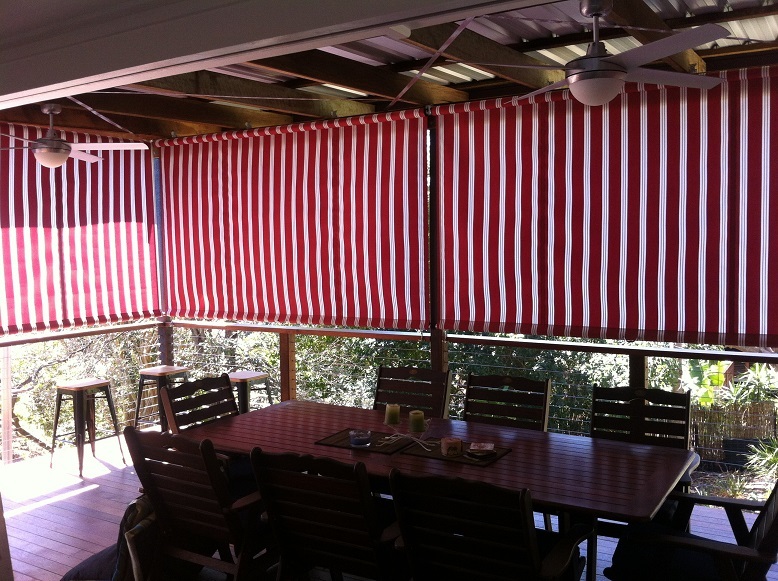 Get more from your space with our great range of outdoor blinds. We have solutions for home and commercial use, giving you protection from the weather while enjoying your views. See our full range of outdoor blinds. A sleek, modern alternative for transforming outdoor living and dining areas. 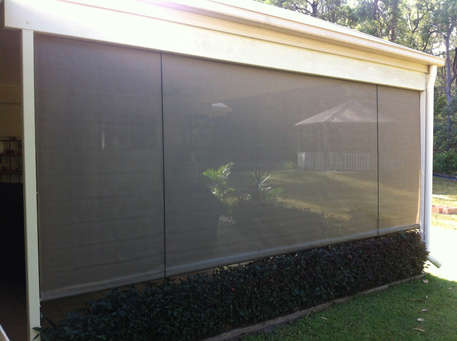 Using a clever, interlocking design you can cover up to 7m widths and 5m drops. Available in a variety of sunscreen fabrics; with motion sensor controls that detect wind speed and/or sunlight and retracts the awning to avoid damage. Café awnings are the perfect solution to provide protection from the weather without obstructing views. Roll up design with simple rope and pulley operation makes this option excellent for gable verandas. 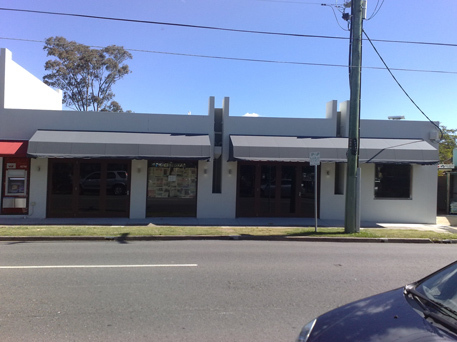 All Gold Coast fabric awnings are measured and shaped to suit. The simplest of awnings can produce the most stunning effect around the home. Available in a choice of crank operated or spring loaded, straight drop awnings can be secured to wall, hand rail or floor. The preferred option for many businesses and commercial properties, fixed frame fabric awnings are made from welded steel or aluminium with fabric stretched over the top. A durable solution that is measured and custom made to suit any situation.